Why does My Computer Keeps on Freezing and Restarting? If a computer keeps on freezing and restarting, it is quite irritating, but it calls for immediate troubleshooting. There is however no need for much alarm as the computer might just be experiencing common problems whose solutions are readily available. The answer could be simple or even sometimes technical, but it all depends with your correct analysis of the problem. It is actually not the best idea to be patient with a computer that is accustomed to this, but taking it to experts for troubleshooting marks the end of the problem. However, it could be imperative to understand the possible causes of such a response of a once perfect computer. First, the virus could be the cause. When viruses invade a computer, it's consistency in executing tasks is affected. 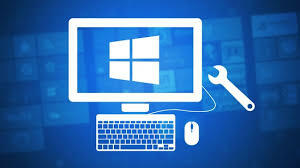 The more the viruses or the serious the virus, the more the problem with your computer freezing and restarting becomes recurrent when you do not eliminate the virus it corrupts the software and files in your system multiplying the problem with your computer. A remedy is to refresh your computer by formatting it, then installing strong antivirus software. In other cases like in the case of a custom build computer, individuals who make their own computers might easily fail to install something properly in the system, a factor that results in rampant freezing and restarting of the computer. Incorporating a smaller RAM and installing several programs and running them all at the same time could overburden the RAM resulting in a freeze or a restart. For the case of custom computer build, where this problem is common, the best remedy is getting the requirements of a computer build right. This ensures that such problem of misbalancing tasks in a computer while building it up does not occur. If the above procedure does not restore the normalcy in your PC, it is vital to consider expert advice from expert's websites. .